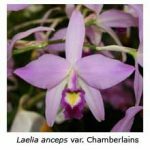 For such a small country, only half the area of the State of Victoria, Guatemala provides a home for a surprising number of orchid species. 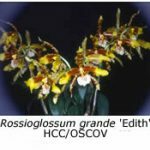 According to Carlos Limaza, a resident of Guatemala City who wrote an article on the orchids of Guatemala for the Proceedings of the 11th World Orchid Conference in 1984, about 650 different orchid species in 90 different genera have been found. 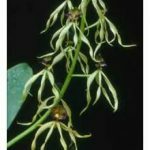 Limaza describes about 70 species in his article but I mention only 20 here – those that I grow or have grown at one time. Many of them are suitable for intermediate conditions and quite a few grow and flower in a Melbourne shade-house. Those found near sea level require warm conditions, and I found by experience that Rhyncholaelia (once Brassavola) digbyana would not flower in my rather shady glasshouse that I maintain at a minimum temperature of about 10°C. So I gave it into Fred Stewart’s care and soon ‘enjoyed’ seeing him flower it in his warmer, brighter conditions. R. digbyana, which has a delightfully perfumed flower with a frilly lip, has been extensively used with the genus to make brassocattleya and brassolaeliocattleya hybrids. 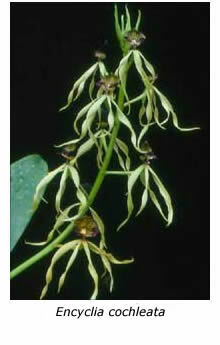 Epidendrum radicans (syn. E. ibaguense), the crucifix orchid that is widespread and common through Central America at altitudes up to 1800 m; Epidendrum (syn. Neolehmannia) porpax, another widespread species found in pine or oak forests at altitudes to 2000 m; Encyclia baculus and E. cochleata (the cockleshell orchid), found at altitudes up to 1700 m, although they do better at lower altitudes. Certainly I find that E. cochleata produces more and larger flowers when grown in my heated glasshouse. 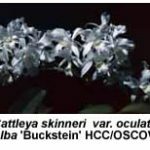 Oncidium ornithorhynchum, one of the few oncidium species with pink flowers, is found in humid forests at altitudes to 1500 m. Many Victorians grow Oncidium sphacelatum under shade-house conditions, and are generally disappointed in the results. The reason is obvious -in Guatemala it grows only at altitudes up to 800 m, and thus requires a heated glasshouse. 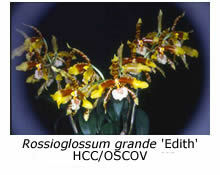 Rossioglossum grande is the largest-flowered orchid species found in Guatemala, where it grows at altitudes up to 2600 m, and is therefore quite suited to outdoor culture here. The reason that so many growers fail with this species is that they do not provide a long resting period without water during winter. R. williamsianum grows under the same conditions. Maxillaria cucullata grows under a range of conditions (as a terrestrial lithophyte or epiphyte) at altitudes to 3300 m, and is well suited to outdoor cultivation in Melbourne. Guatemala is home to several cattleya species, including Cattleya skinneri, C. aurantiaca, C. bowringiana and the natural hybrid C. Guatemalensis. 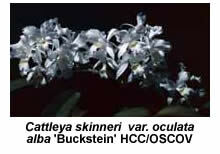 Although all except C. skinneri are found at altitudes to 1600 m, they definitely grow and flower better with winter heat. 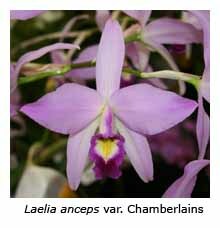 Surprisingly, Lizama states that Laelia anceps requires a warm climate, although most if not all of us grow this species without heat in Melbourne. Lizama lists seven Guatemalan lycaste species, and the altitudes at which they are found. Lycaste aromatica and L. deppei are found at altitudes to 1200 m. In my experience they grow and flower well in a cosy shade house but do better if provided with heated winter quarters. L. cochleata is said to prefer a temperate or warm climate, yet my plant, grown in the shade-house, bears attractive green and yellow flowers in April. L. skinneri (syn. L. virginalis) is found at altitudes to 1800 m, and is said to like a cold climate. Regardless, this species does better for me in the glasshouse, possibly because the evaporative cooler provides it with cooler conditions that it would receive outdoors during summer. Lycaste lasioglossa and L. tricolor, found at altitudes to 2700 m, would seem to make them ideal candidates for outdoor culture.